The answer, of course, is no. In the hand of a great caster, any rod will catch fish. After all, rods don’t cast themselves. It’s actually a good situation for the fly fishing consumer, because, on the one hand, we’re seeing more and more imported product utilizing the same (or similar) designs and materials as domestically made “performance” rods, available at a much lower costs, with equal warranties. On the other hand, the premium brands that want to stay relevant are pushing the technology, performance, and craftsmanship boundaries harder than they ever have before. They’re making rods that compel anglers to want to spend more to get more. Think of it like cars. Are there no-frills, reliable options that get you from point A to point B for a reasonable cost? Sure. And are there “muscle cars” and high-performance vehicles that redefine the experience of sitting behind the wheel? Of course there are. 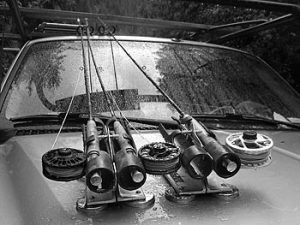 Here are some examples: After Orvis set a new standard with its premium “Helios” rod series, heavyweights like G.Loomis and Hardy waded into the fray last year with a new resin technology that allowed them to design new generation rods (the NRX and Sintrix-based series, respectively). 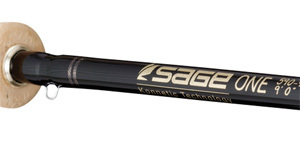 You had to figure that other power players, like Sage and St. Croix, would apply that resin-based thinking into new rod designs, and they have. Sage is introducing the ONE, which, interestingly, isn’t billed so much for “faster, stronger, longer” aspects of fly casting as it is touted for accuracy. St. Croix is trending along with purpose-specific designs, like last year’s “Bank Robber” (for streamer fishing), and 2012’s “High Stick Drifter” (for nymphing). G.Loomis has 11 models in its new Pro4X series designed for ‘new-to-the-sport’ and intermediate anglers in 2012. Hardy applies its Sintrix technology in a one-piece design with a new series of Zenith rods that do indeed feel different than multi-ferrule rods. Hardy has also revisited some high-end cane options, and through it’s Greys line, is producing a new mid-priced performance series for saltwater called XF2. While Hardy has delved back into single-piece rods, on the other side of the spectrum Winston has introduced a five-piece travel rod made with its BIIIx materials. Meanwhile Redington introduces the Predator, Torrent, and Voyant rods, some of the best all-around mid-priced rods we’ve tested. And Thomas & Thomas is back in the game for 2012 with a very sharp TNT saltwater series. On the budget side of the aisle, Temple Fork has created two notable rod models: a Lefty Kreh-influenced BVK series (lighter, more accurate), and a Pandion two-handed series. Cabela’s has a hold of that 3M “nano resin” technology, and it is now making a performance rod with it (a la G.Loomis) called MTx, which sells for considerably less than most top-shelf performance rods: $400. Cabela’s also has an L-Tech saltwater series coming out in 2012 ($250), and a revamped TLr intro rod (an updated Traditional II) that will sell for $150 and less. The mid-pricepoint range is where the hottest action is going to be in 2012: Orvis redesigned its Clearwater rod series with good effect for 2012; Scott is introducing a new A4 series; Mystic is launching new “Au Sable” rods; and Ross is expanding its offering of the Essence FS series—and these are all sub-$500 rods. You’ll want to keep a close eye on that Sage ONE. We’ve cast it. We’ve fished it. It is what it’s purported to be—accurate, and light in the hand. It’s a new look and a new approach for Sage, indeed a bold “one,” but it was worth waiting for. Cabela’s is going to shake the tree with that new MTx, effectively taking the “nano” discussion to lower price levels, and in effect, putting even more pressure on specialty brands sold exclusively through specialty shops. Mystic is a name you’ll hear more and more. We also cast these rods, and they are very pure. They’ve won a lot of “blinded” casting comparisons with the big boys lately, and they will generate more attention as more guides start to use them. Lastly, there’s no doubt that Hardy is more than reborn—Hardy is pushing the envelope and turning some heads (again) in this industry, not only on the reel side, but also with fly rods. 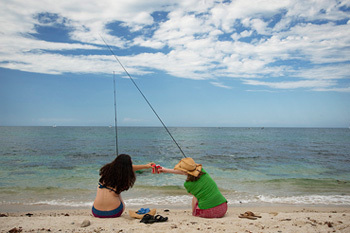 Entering 2012, one thing is clear: The “rod wars” are “on,” and the consumer is going to win.